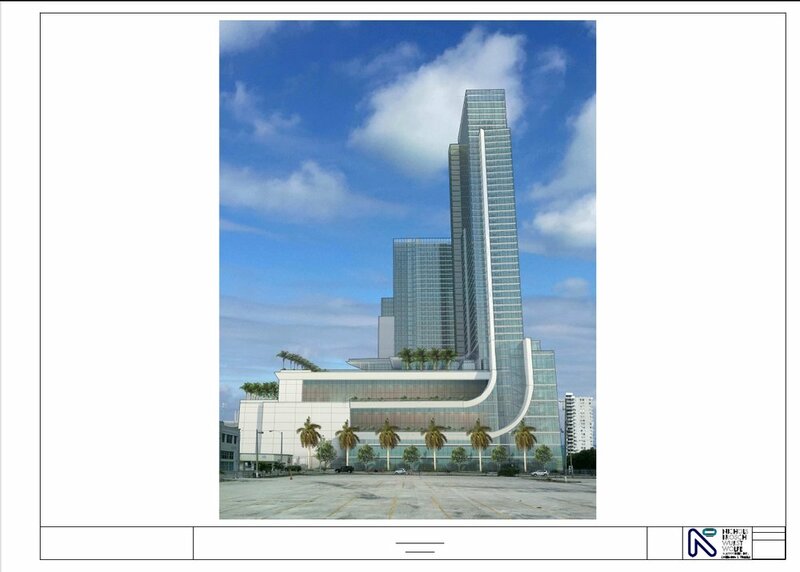 MDM has submitted revised plans for Miami World Expo Center Marriott set for a mid-October review by the Urban Design Review Board. The developer will redesign the hotel tower from a single curved tower to two separate towers, reduce the tower's height from 54 stories (636' 4") to 53 stories (572' 1"), all together reducing the total hotel units from 1,800 to 1,700. 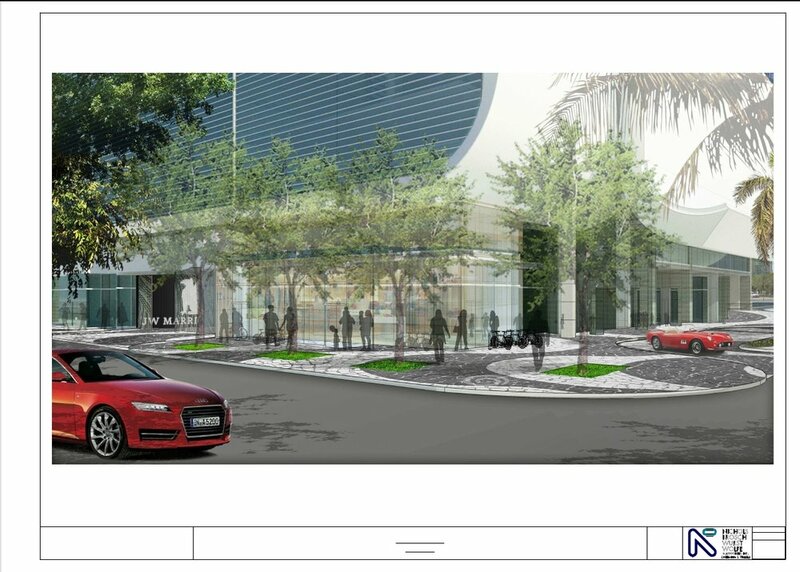 They will also decrease parking from 1,250 spaces to 1,128 spaces. MDM has also proposed to complete the project in two phases starting the initial phase Q1 2017.